← Flash is out, HTML5 is in and we’re heading for an apocalypse! For years now I have been saying how all things will become mobile in one way or another, and last week’s Consumer Electronics Show in Las Vegas clearly showed this to be well underway. A very large proportion of those exhibiting or attending were launching mobile initiatives or devices, using mobile operating systems or user experiences (UXs) or just talking mobile, with many of the keynotes leading with a mobile story. After taking the top spot at the show for 15 years, Microsoft decided they would take a break from CES after this year’s keynote. There are already rumours that Google will take the lead at the show next year, which seems fitting considering how many exhibitors were showing products containing Android. Reports even had Apple sending over 250 employees to the show this year to check out the competition. But Microsoft has probably gone mobile more than most and Steve Ballmer led his keynote with Windows Phone, outlining that their focus is on relationships and information rather than application icons. 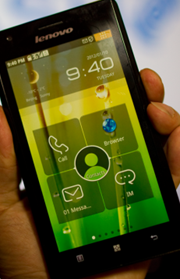 The striking Metro interface was demonstrated, not only on Windows Phones from Nokia (including the lovely Lumia 900), HTC (including the massive Titan II), Samsung and LG, but also on the PC as the new interface for Windows 8. In fact most demos of Windows 8 at the keynote, and on the Microsoft exhibition booth, focused on Metro running on ARM based tablets showing how the line between PC and mobile is further being blurred. With talk of ARM based tablets, what of Intel? Well Paul Otellini kicked off the Intel keynote with news of their new Atom Z2460 mobile processor (Medfield) and was joined on stage by Liu Jun SVP and president of Mobile Internet and Digital Home at Lenovo and Sanjay Jha, CEO of Motorola Mobility. ARM CEO Warren East has since described the new Intel chip as “roughly good enough for mobile phones”. Android was everywhere, but nowhere, and Google could have done with a more visible presence at the show given how many companies were showing off products running their mobile OS. Naturally I found Android on mobile phones and tablets from Samsung, LG, Asus, Panasonic and Motorola, including the Motorola Droid Razr Maxx with its massive battery (hurrah) and Sony Xperia S.
But I also found Android running in many other places. 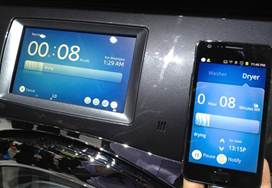 It was in the new Sony Xperia SmartWatch, a wrist watch that looks a little like an iPod Nano. 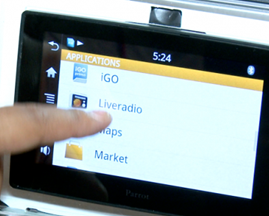 It was in-car with new Parrot head units which even has an app store although the number of apps are currently limited. In fact there were lots of car manufacturers at the show demonstrating in-car computing solutions from navigation via Google Maps to entertainment. 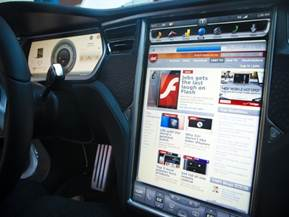 I particularly liked the massive touch screen in the new Tesla Model S which runs a custom version of Linux and its mobile phone control, and yes it will have an app store, check out the video to see how cars are going mobile. 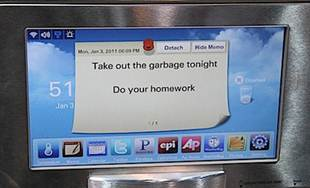 Samsung showed off a refrigerator running Android, which could push shopping lists out to your smartphone. As expected it also had an app store, which made me wonder if you can play Fruit Ninja on it. Samsung also demonstrated their Android enabled washing machine, showing how you can control it from your mobile phone, although I’m still trying to work out why I would want to do that, perhaps it is an attempt to make geeks wash their clothes more! Then we come to Google TV and all the smart TV’s on show from Samsung, LG and others. These new devices are running operating systems like Android and as is becoming the standard they contain app stores so you can get Angry Birds. Google were talking about how your smartphone can talk to your TV and announce your arrival home to the rest of the family. We are only just seeing the beginnings of what is possible. 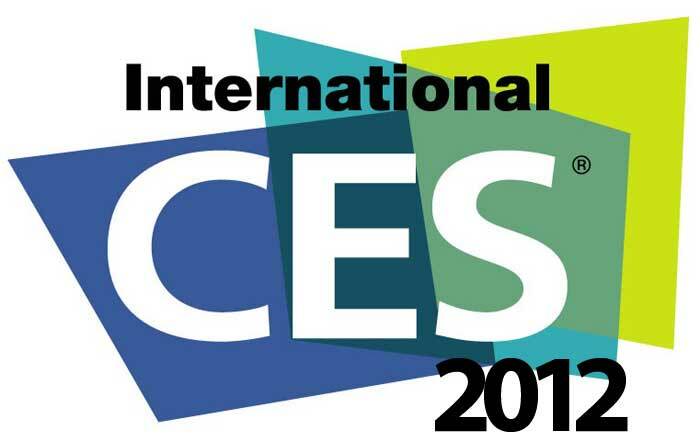 So has CES become the top mobile show in the USA? Absolutely, and as mobile continues to take over the world we will see increasing integration of mobile technology across all consumer electronics. So while shows like CTIA and specialist mobile events remain important to the industry, CES is becoming an increasingly important place for the mobile industry to meet. See you all there in January 2013. This entry was posted in mobile web, trends and tagged user-experience. Bookmark the permalink.